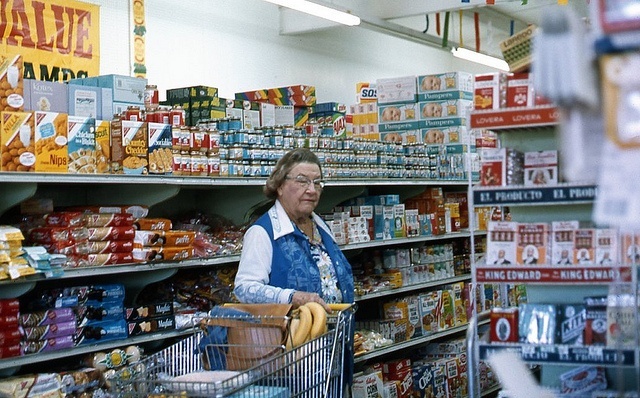 Most of us spend at least 30-45 minutes or so every week at a grocery store – the same grocery store, typically – meaning we spend more time there than almost anywhere that’s not work or home. 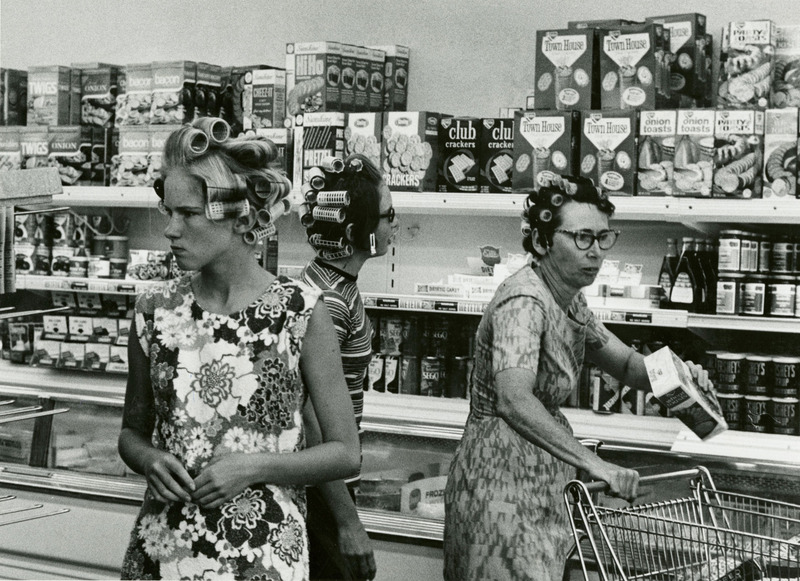 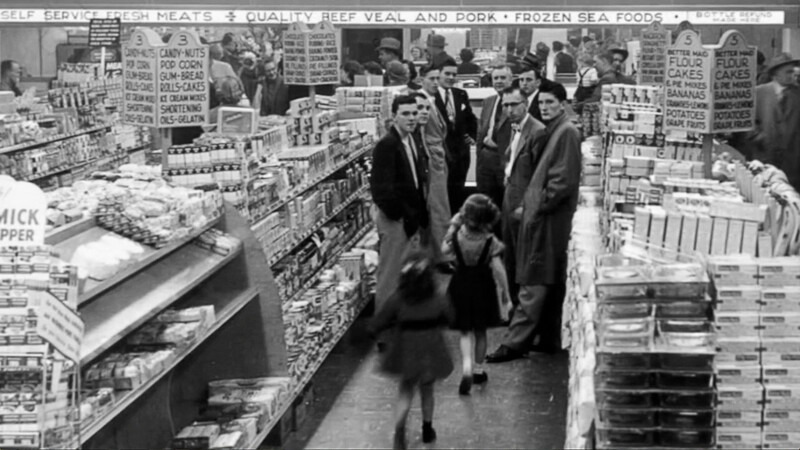 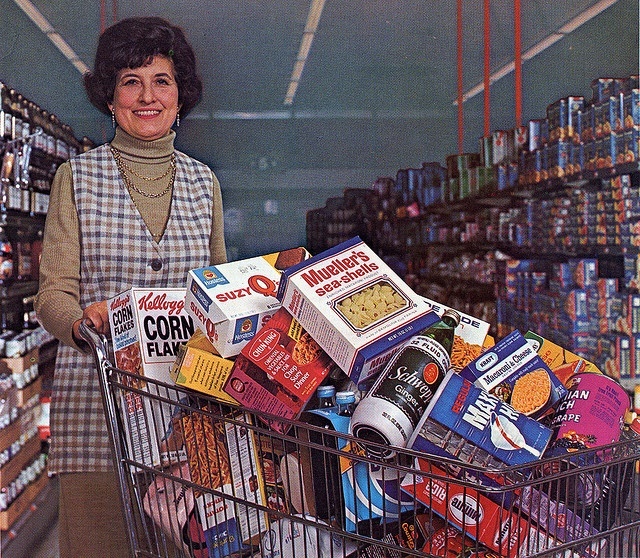 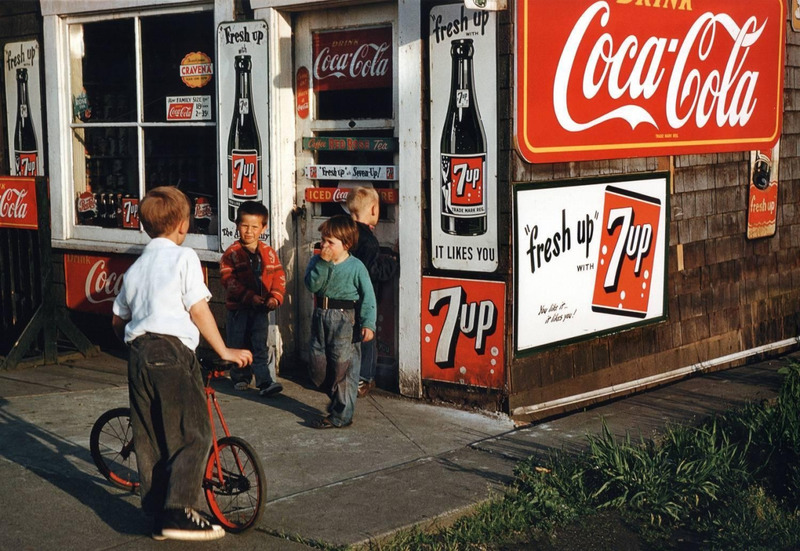 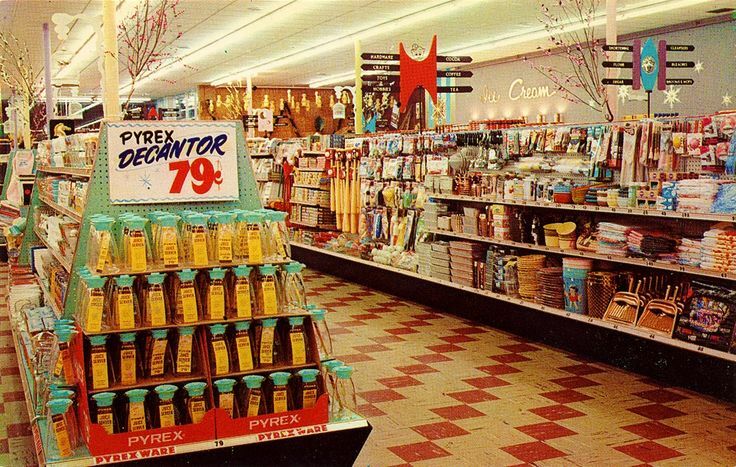 That’s why old photos of grocery stores spark such intense nostalgia: seeing how grocery stores have changed through the decades is kind of like looking at old family photos. 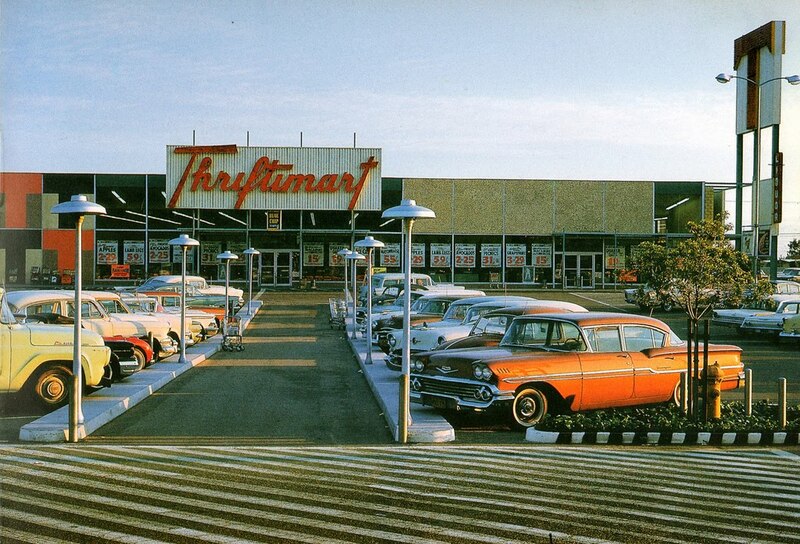 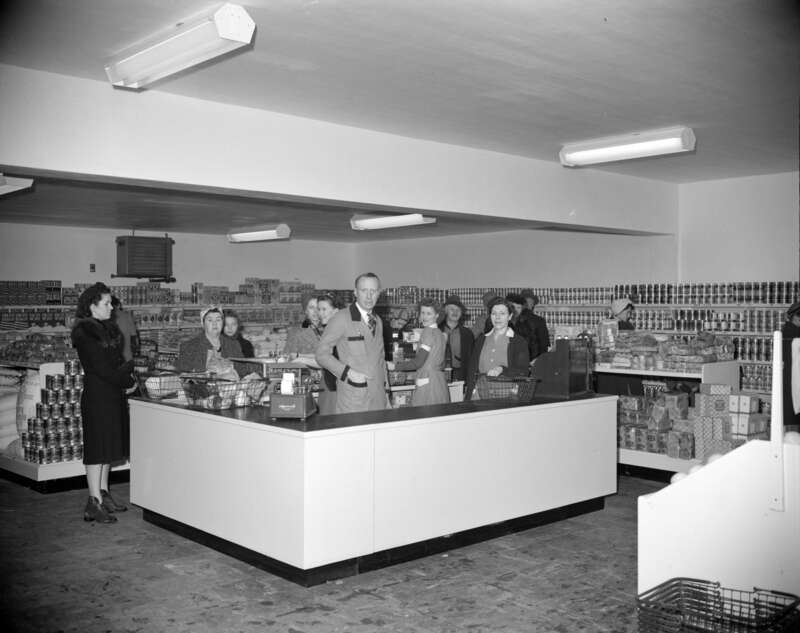 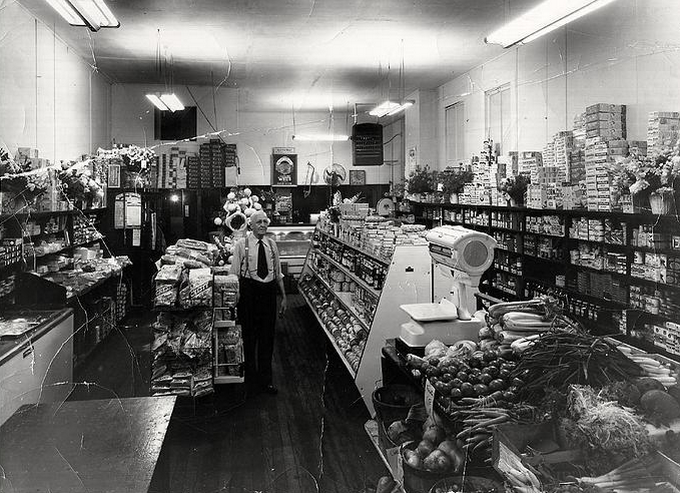 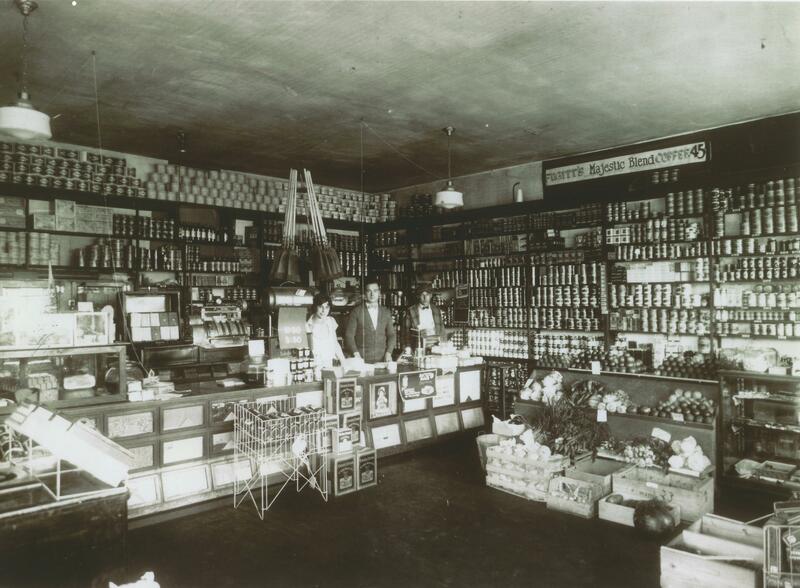 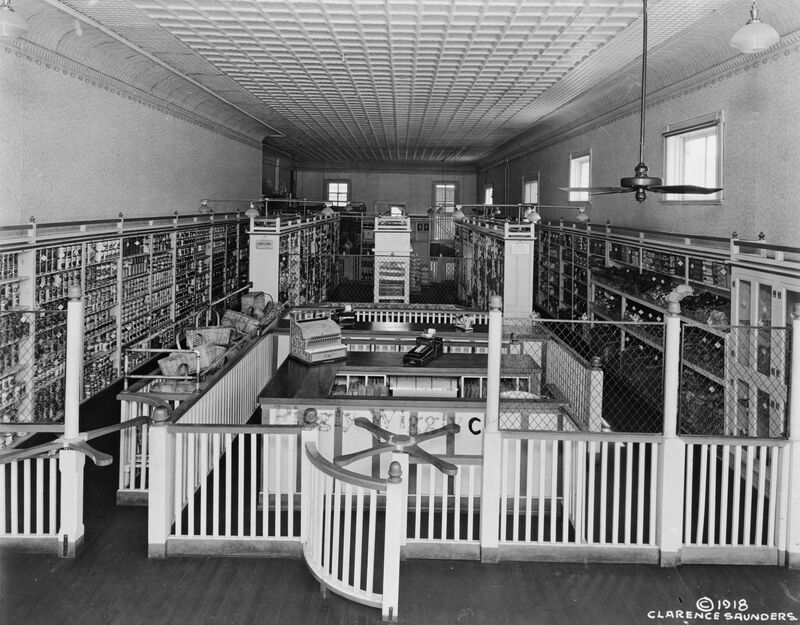 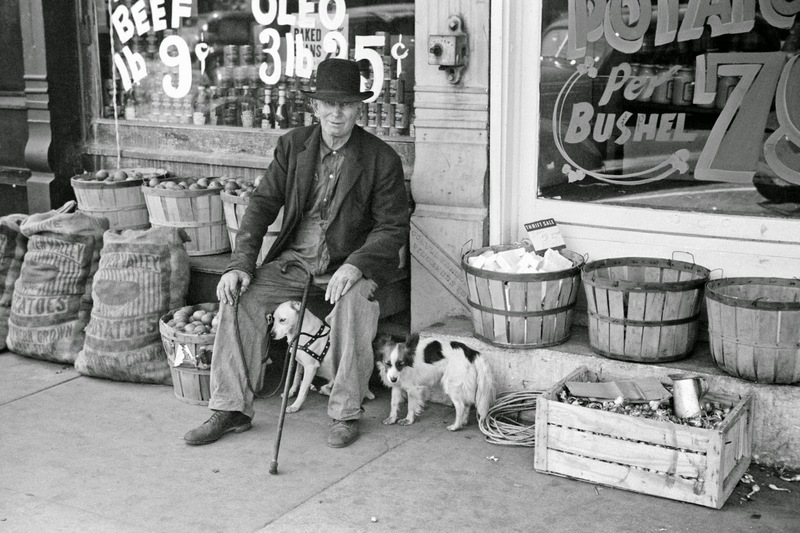 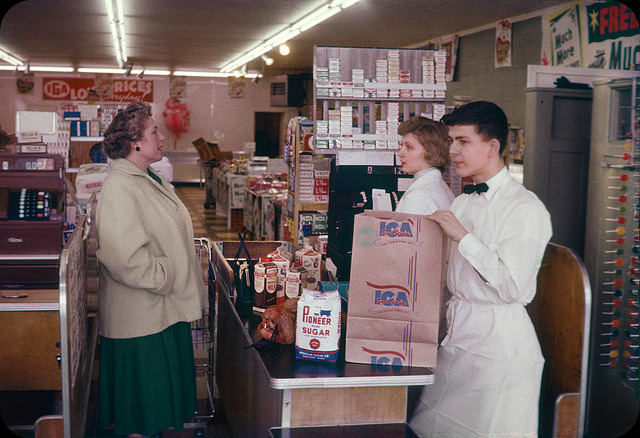 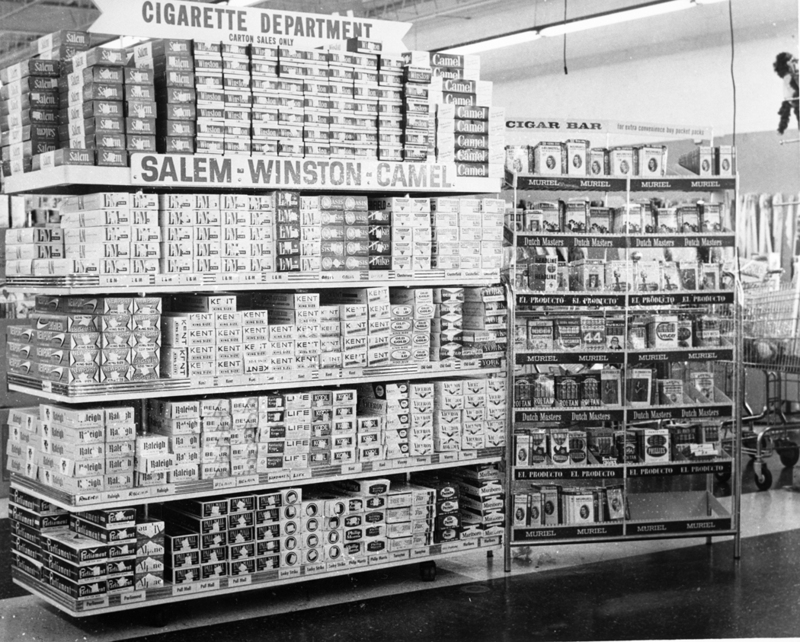 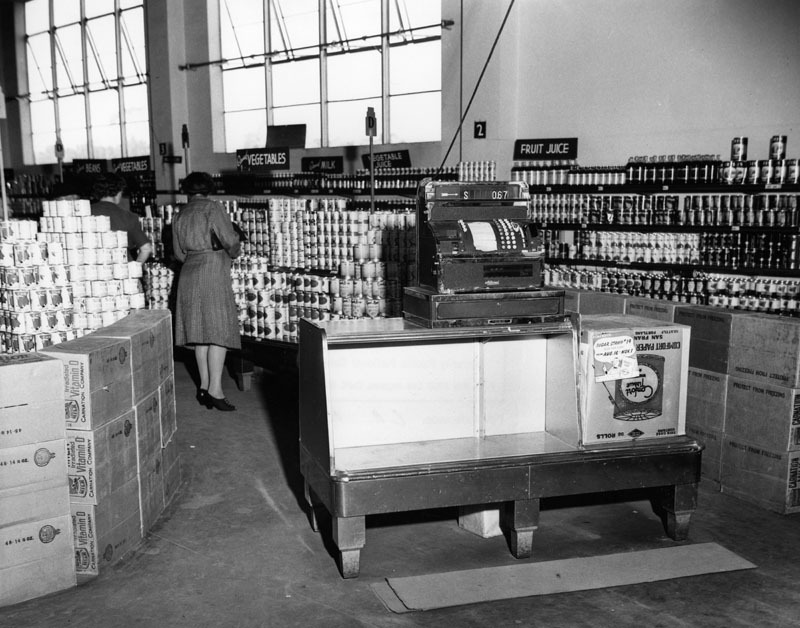 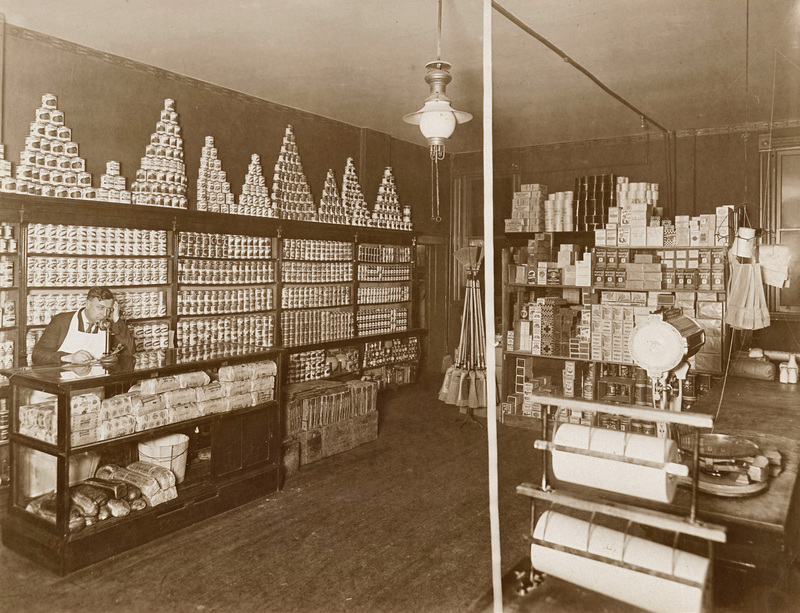 The gallery below of old photos of supermarkets spans from the late-19th century to the 1980s, covering several major evolutions in how grocers got their goods to the people. 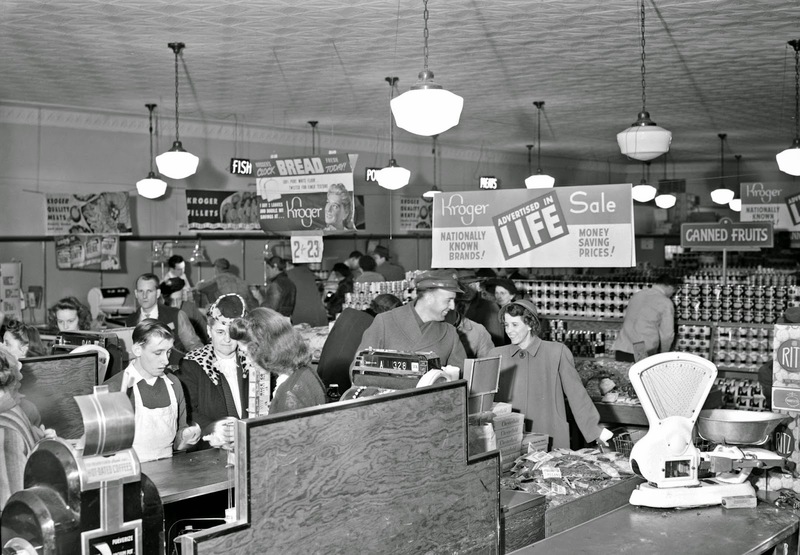 You’ll see the switch to self-service, hand-painted window signs turn to plastic tags, and the aisles getting wider to accommodate those newfangled carts. 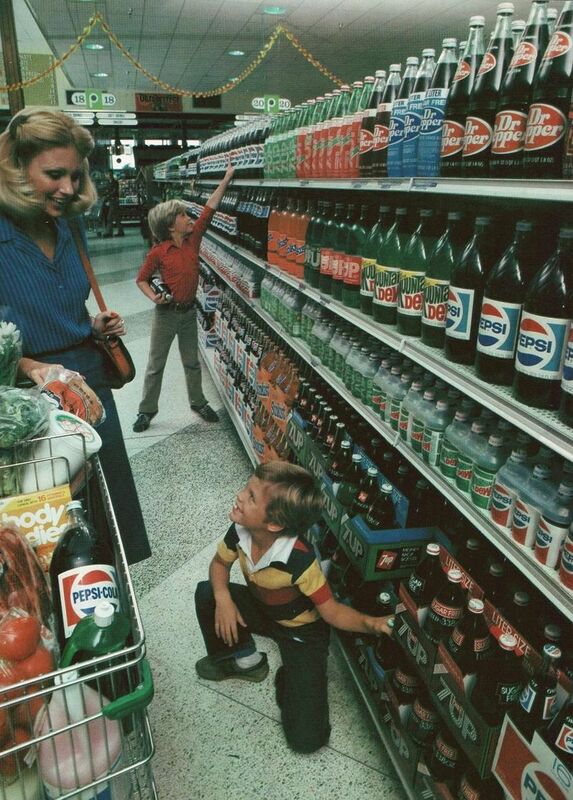 You’ll also see shelves full of soda in glass bottles – the way God intended.